Stir fry dishes are one of the easiest, fastest and most convenient dishes to pull together when you are looking for something hearty and fulfilling. My Asian blood in me almost most of the time screams for something hot from the work and almost certainly the dish needs to be served over a bowl of steaming hot rice. 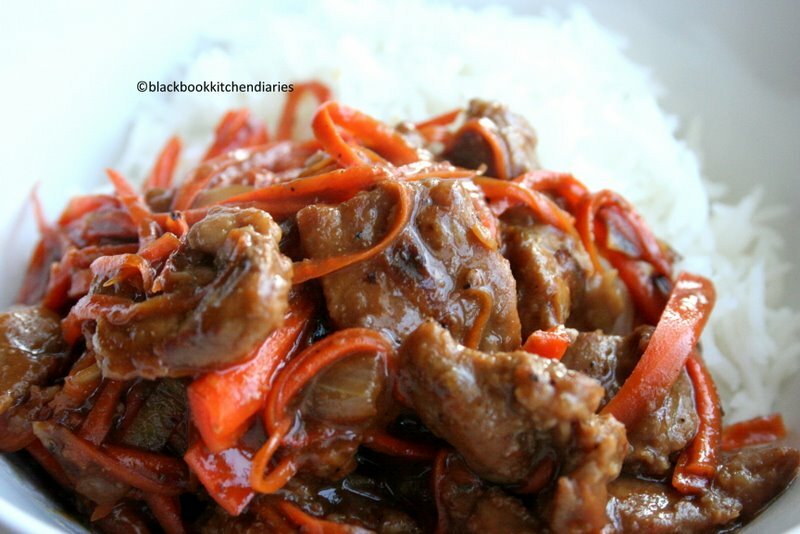 This is one of my favorite stir fry dishes. This dish was inspired by my Aunt Lydia. She makes it the best! Using hoisin sauce as the key ingredient here, this dish is full of flavor when cooked with beef or chicken. 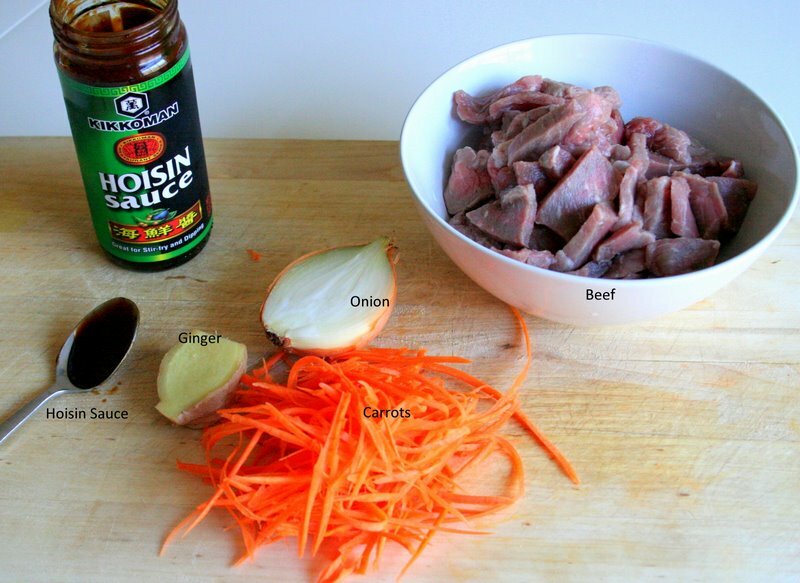 If you haven’t already tried hoisin sauce, then think of it as a Chinese style barbeque soy sauce. It is absolutely lovely! Here I made my stir fry dish, it is super easy with just a few ingredients that you probably already have sitting in your fridge. If you’re thinking of trying this, then please snap some photos and share it with us. 1 lbs flank steak, slice into thin strips. (or into chunks) don’t forget to slice it across the grain. 2 whole carrots, you can shred it or cut into strips. Combine all together and marinate the sliced beef and allow to rest for 30 minutes. When the beef has done marinating, heat your wok or use a non stick pan and add about a tablespoon of oil. Once the oil is heated, drop in the sliced onion, ginger and garlic and stir it up till it’s all nice and fragrant. 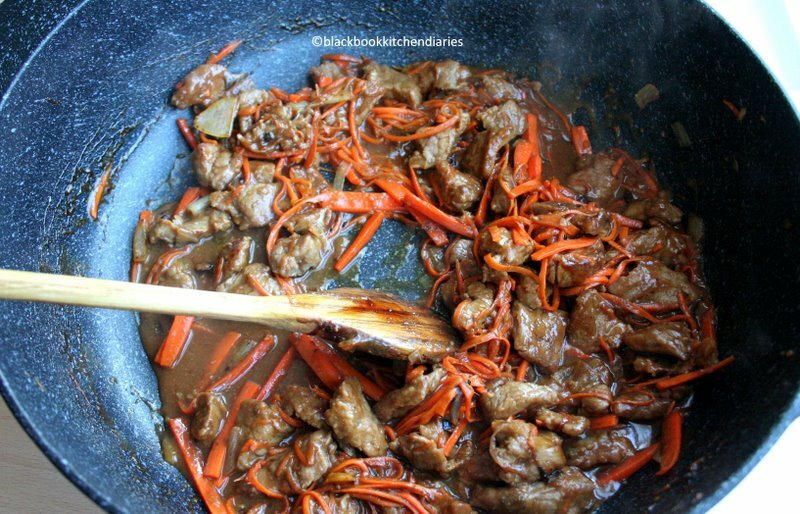 Now, add in the carrots and stir fry briefly for a minute and then remove it from the pan. Then add in 2 tablespoon of oil to the same pan or work and start frying up the marinated beef. Cook the beef until it changes color and the sides are nicely brown. Now, add the carrots, onion and ginger back to the pan with the meat and continue to stir fry a minute. Add in the ¼ cup water and allow the sauce to come to a boil and stir it till it thickens. You may add in a pinch of sugar at this point if you want. Just to balance out the saltiness of the sauce. 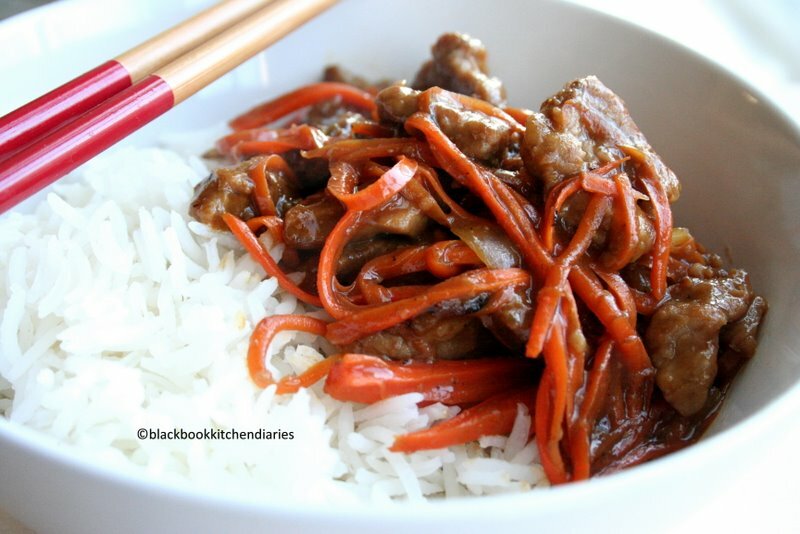 Serve this up with a bowl of steam or fried rice and enjoy! 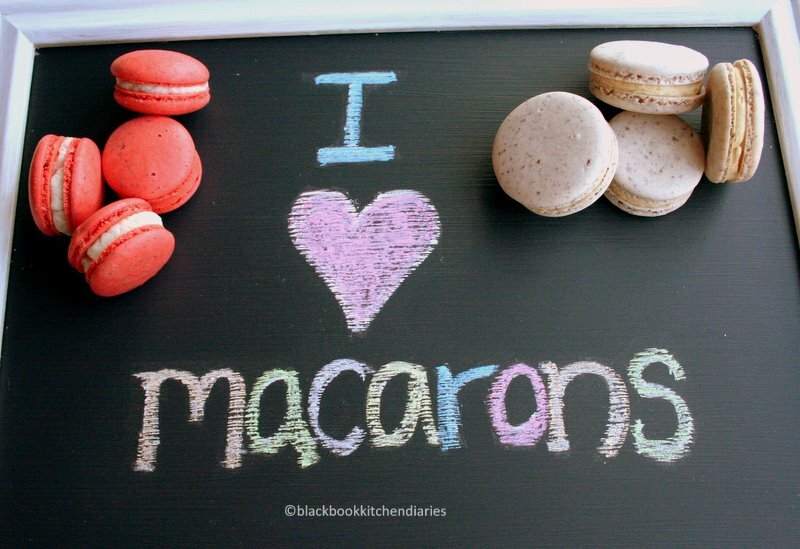 I have recently revisited my love hate relationship with the ever so complicated macarons. Sometimes I can’t understand why this cookie simply made with only egg whites, almonds and sugar can be so complicated. Just three easy ingredients can drive me absolutely crazy in the kitchen. It’s the kind of baking that can really put you over the edge when baking. And because of it being such a challenge, I am now driven to get this right. I believe that I have figured out all the steps from blending to mixing in the meringue. This can get confusing. I have seen some people mixing it really carefully and then only to have the peaks cracked in the oven with no feet. 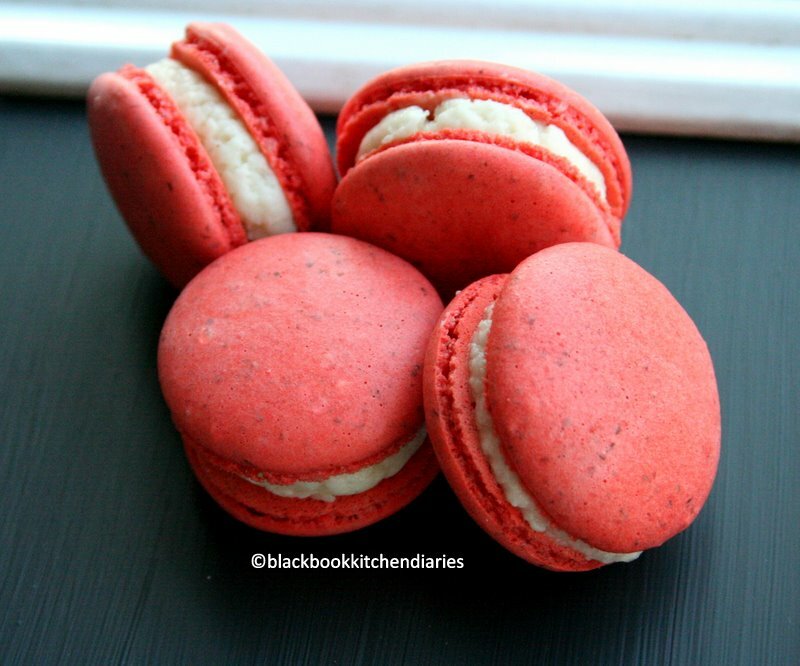 And then I have also seen professional pastry chef violently mixing the batter together and then miraculously producing flawless macarons. For me, I believe my mistake clearly lies in the oven. My oven and I are still working on the perfect baking temperature. I think that I need to lower the heat a little more that the once recommended which seems to suit these fussy little cookie to produced the iconic feet that everyone is talking about. These are the ones that I made a couple weeks ago and was really happy with how it turned out. 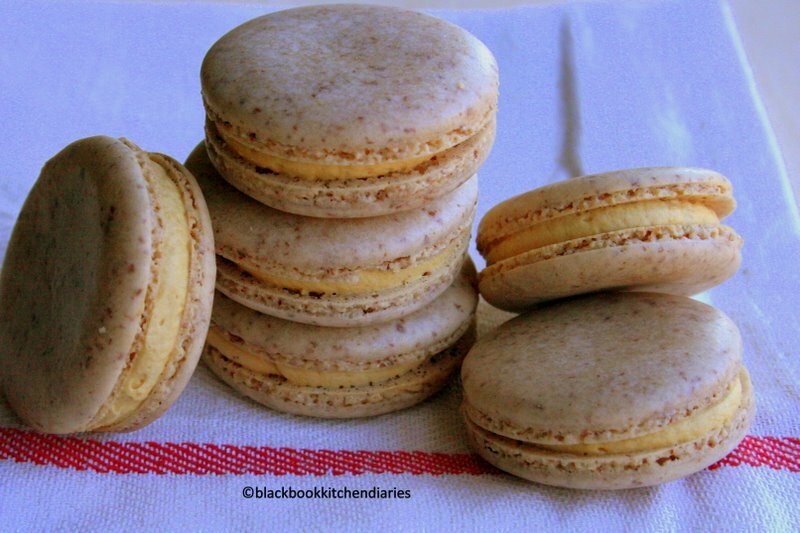 I made a salted caramel macarons and my all time favorite rose flavored once. However, after being really ecstatic over my baking success I called my sister to spread the news and then told her I would bake some with her at her place. Clearly, I wasn’t thinking straight and ended up throwing the entire batch away. There were no feet and I was really disappointed as I wanted to bake some for her. I supposed every oven is different. And you need to get a better understanding of how your oven works. This is one of the main causes of many bakers; even the pros have suffered defeat because of this. But practice makes perfect. So, I think I need to have a talk with my sister’s oven. Just get to know it a little more before I attempt to make another batch soon. Is everyone ready to welcome the New Year? It seems to me that the clock is ticking faster and faster every year. 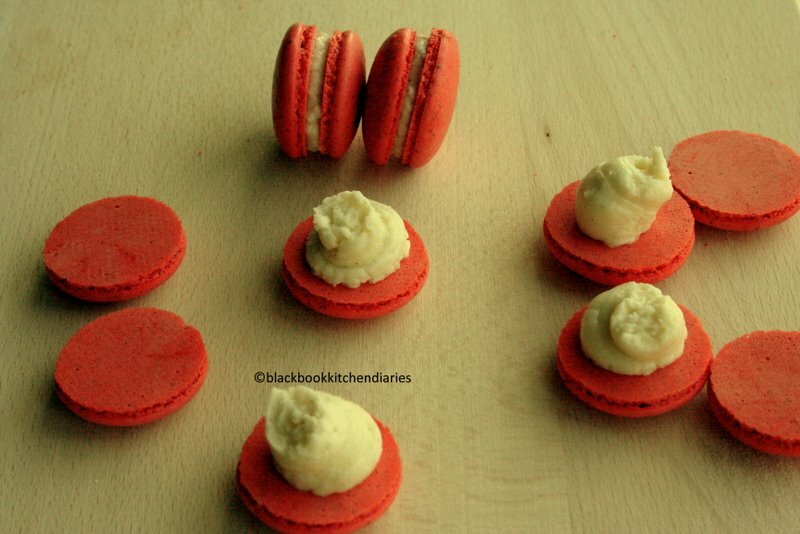 If you are hosting a party this year, how about try some of these? 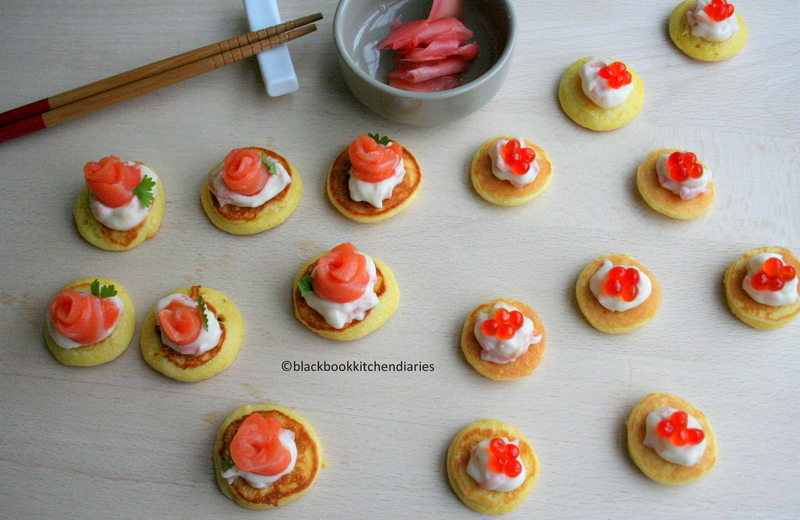 These are bite sized appetizer also known as amuse-bouche. It’s perfect for any cocktail party with friends or family or when you’re home alone and feeling particularly fancy. If you love eating sushi with it’s fresh and delicate flavors then you will definitely love this take. 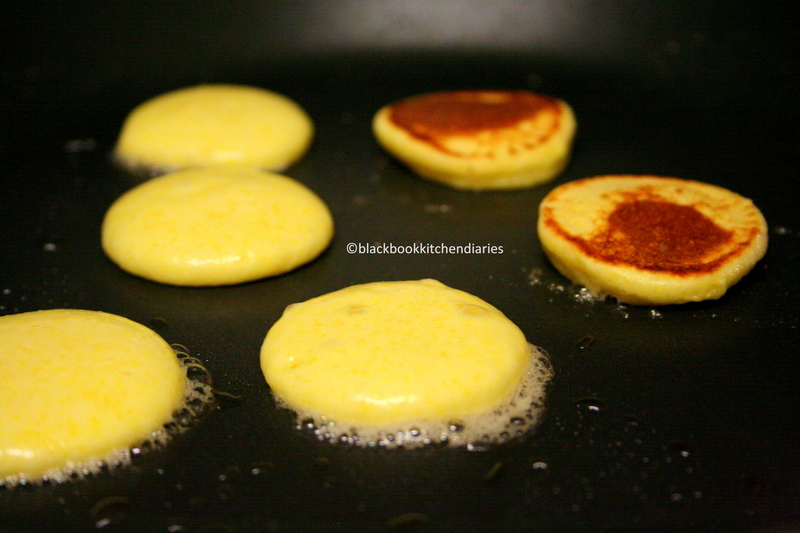 The base is made of cornmeal blinis. 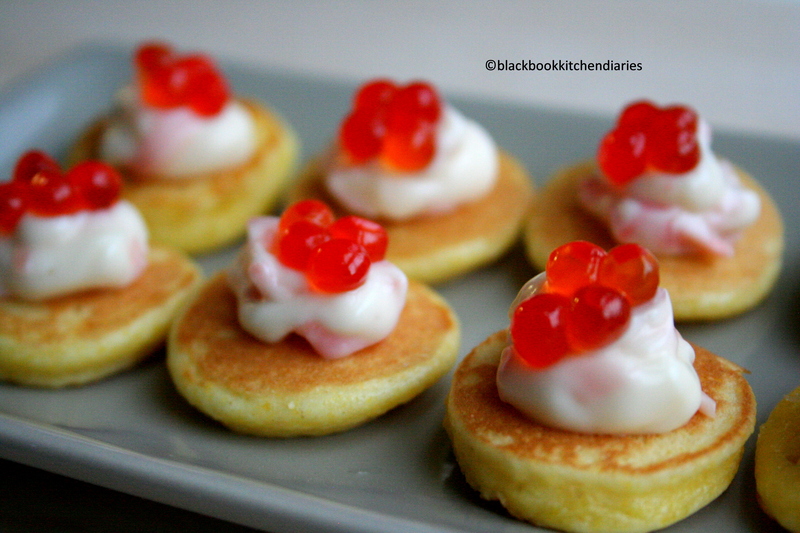 Then topped it with pickled ginger (gari) sour cream, thin slices of salmon sashimi and caviar. 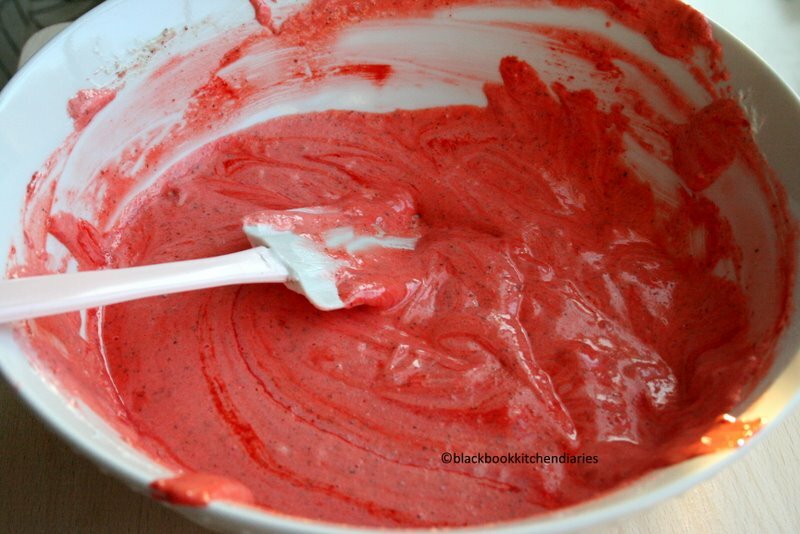 Whisk the muffin mix, milk, egg, butter and salt and pepper together until smooth. Heat a skillet over medium heat. Add 1/4 inch of oil or butter to the pan and heat until shimmering. Working in batches, drop teaspoons of batter into the oil to make small pancakes, about 1 1/2 inches or smaller about 1 inch wide. 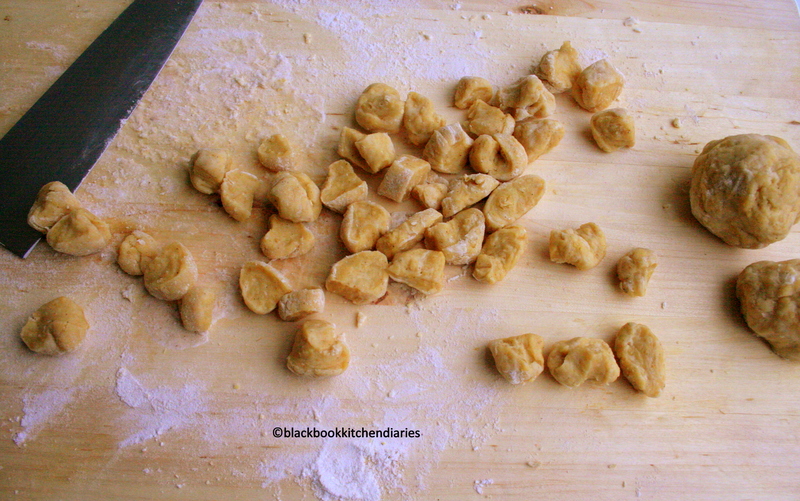 Cook until bubbles appear on the tops and the bottoms are golden, 1 to 2 minutes. Flip and finish cooking, about 1 more minute. 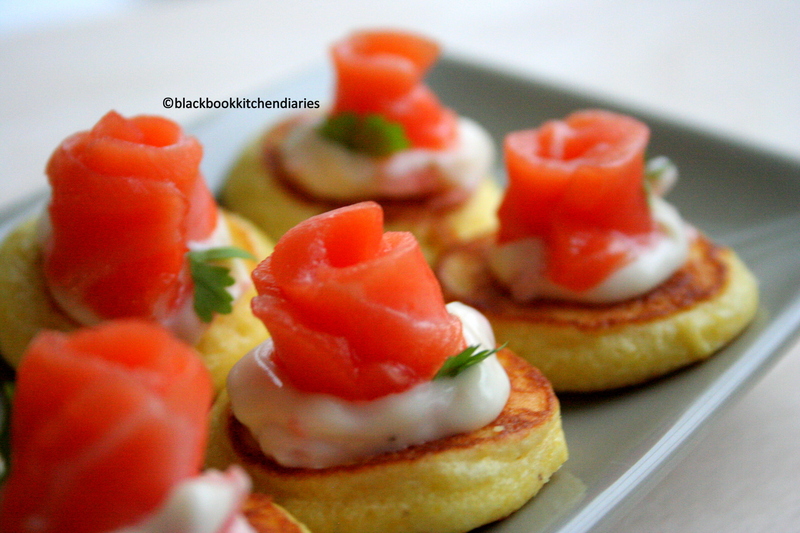 Top each blini with the sour cream and ginger mixture and then finish it with thin slices of fresh salmon sashimi and caviar. How much do you love these right now? 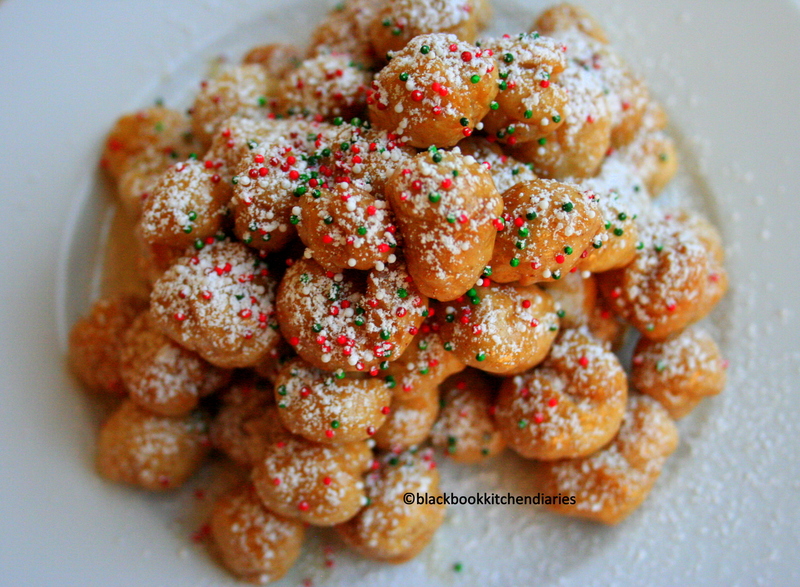 They are marble size fried balls of dough that comes out to play at Christmas time in most Italian home. The dough is simply made with some flour, eggs, butter and some aromatic. Traditionally a few teaspoon of orange or lemon zest is added to the dough. For this recipe, I swap the zest for some grounded cinnamon, ginger and a dash of nutmeg to spice up the dough nice and merry. 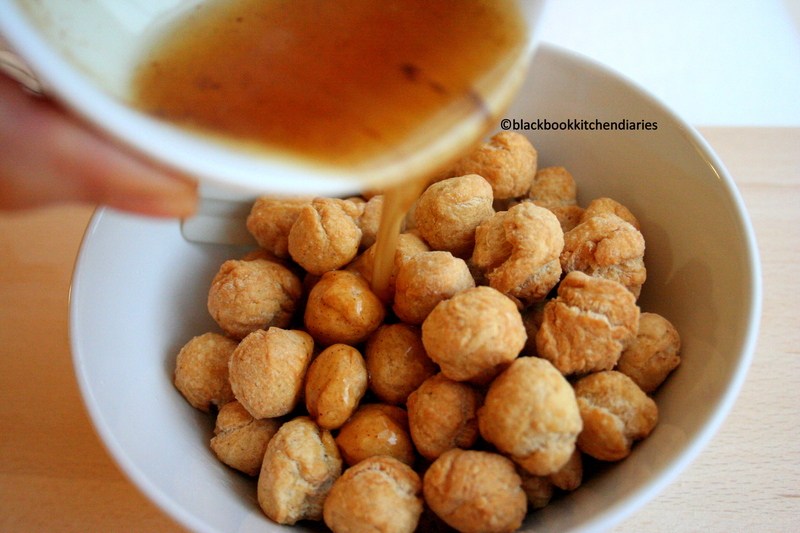 What tempted me most about making this is that after frying, the entire ball is coated in honey! This makes my head spin with excitement. The honey coat also gives out a pretty shine and helps each morsel adhere to each other. I imagine them hugging together tightly. The best part about waking up on Christmas morning is getting my hands all sticky by breaking off each piece and having them with my morning coffee. And getting those tiny bits of sprinkle stuck under my teeth is just half the fun. Adapted from Giada De Laurentiis. Click here for the recipe. I am really excited about doing this post. 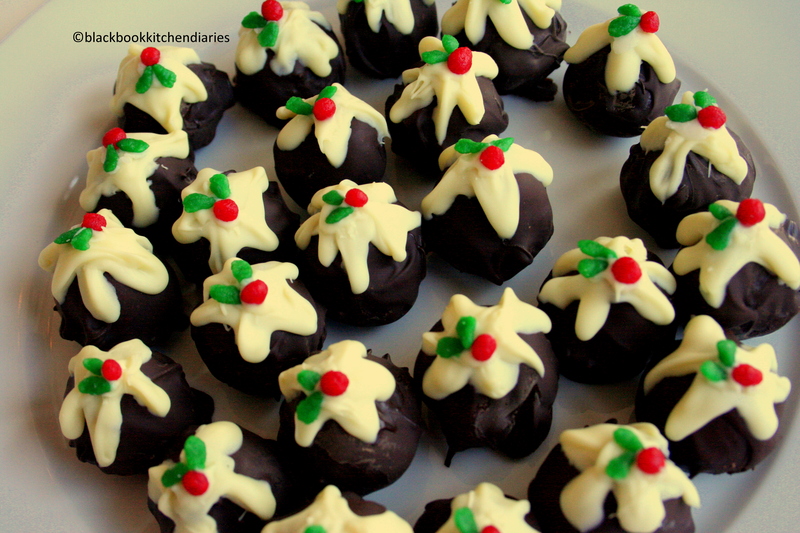 These little bonbons are so cute and super festive that it will definitely be the star of your party. I saw this on Nigella Lawson’s show and I just couldn’t wait to try it out. The recipe calls for using left over or freshly cooked Christmas pudding. Then mix it up with some luscious melted chocolate, golden syrup and a little sherry to give that merry effect. This is truly lovely and will make you feel like a rock star with your guest this holiday. If you can’t find golden syrup at your local grocery store then don’t worry simply substitute it with some clear honey. It will be fine. I also tried substituting it with marmalade jam and it was heavenly. You simply can’t resist taking a bite out of this baby Christmas pudding. 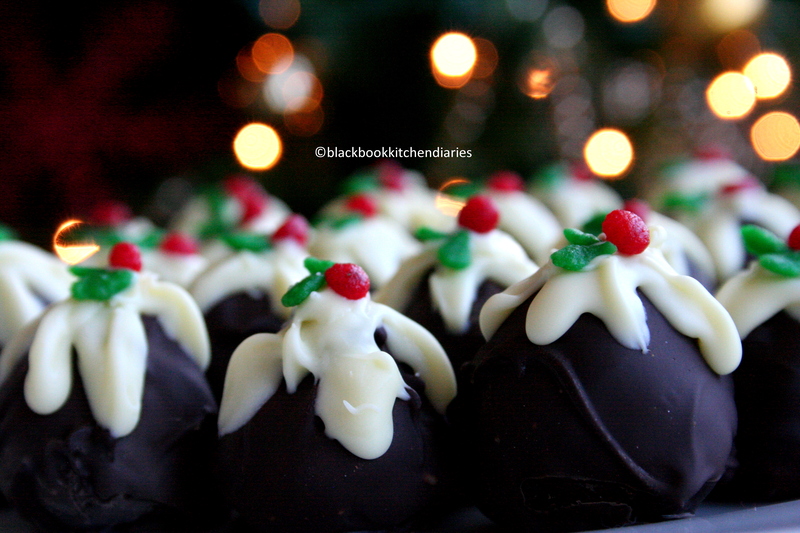 It’s all wrapped up in luxury chocolate and decked up with tiny Christmas hollies. So if you’re hosting a party this holiday how about adding this to your menu or if you are going out this holiday and getting all dressed up in your sparkly new party dress then bring these along for your host or hostess. Melt the dark chocolate in a double boiler or in the microwave. 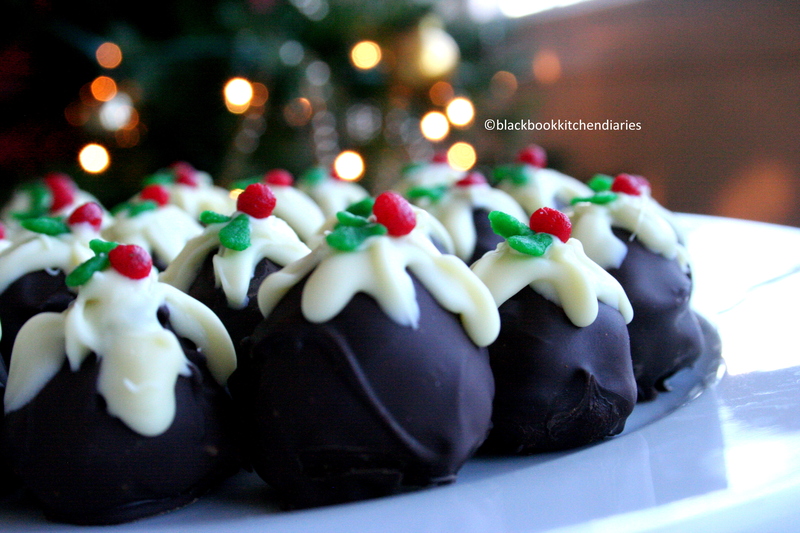 Crumble or break up the cold Christmas pudding into a bowl like how you would if you’re making cake balls. Then add in the sherry and golden syrup and mix it well. Now, pour in the melted dark chocolate to the pudding mixture. Mix it up nicely till you get a smooth paste. Then grab a melon baller or use a 1 tbs measuring spoon as a guide and scoop to form balls of the mixture and place them on a line baking sheet and let it rest in the refrigerator till it firms up. Now, here comes the fun part. Decorating them! Dip the balls in melted dark chocolate using a fork or skewer to hold them. Then set it back on to the parchment and let it rest in the fridge for 5 minutes or till the chocolate is set. 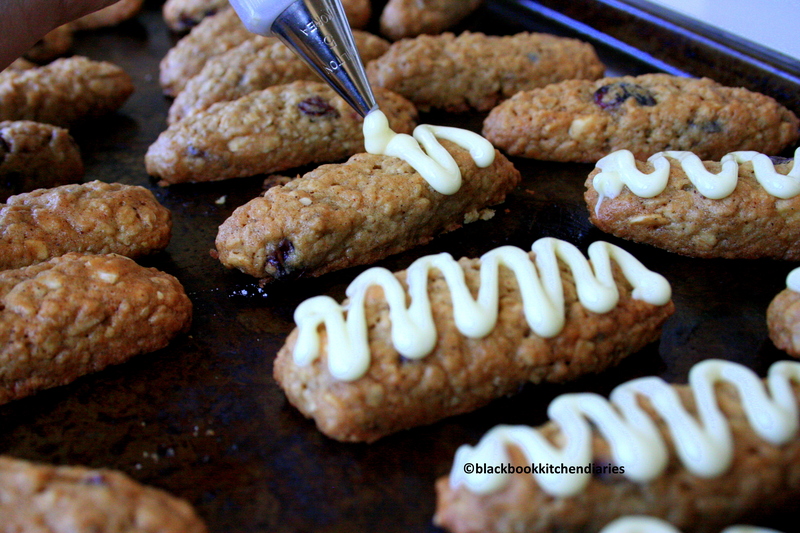 Place the melted white chocolate in a piping and snip off the tip. 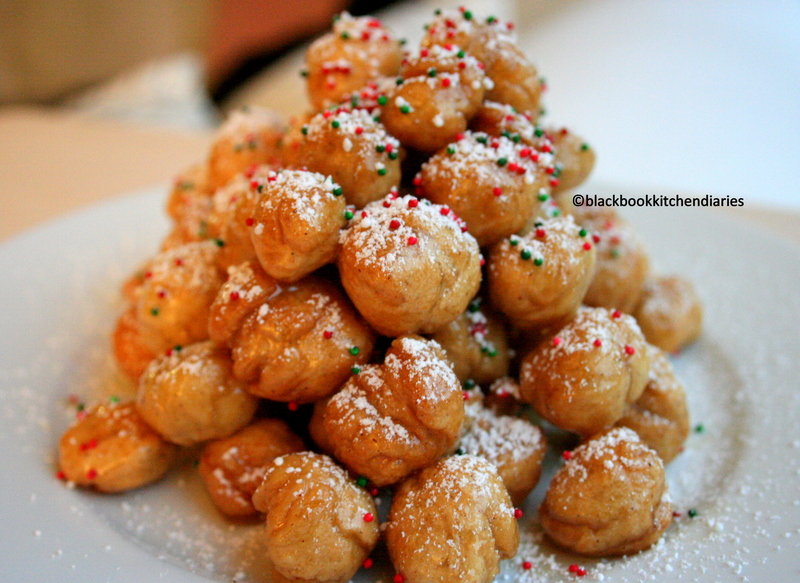 Piped it on the top of the bonbons to replicate the Christmas pudding sauce. Then top it with the hollies made out of marzipan to complete the look. 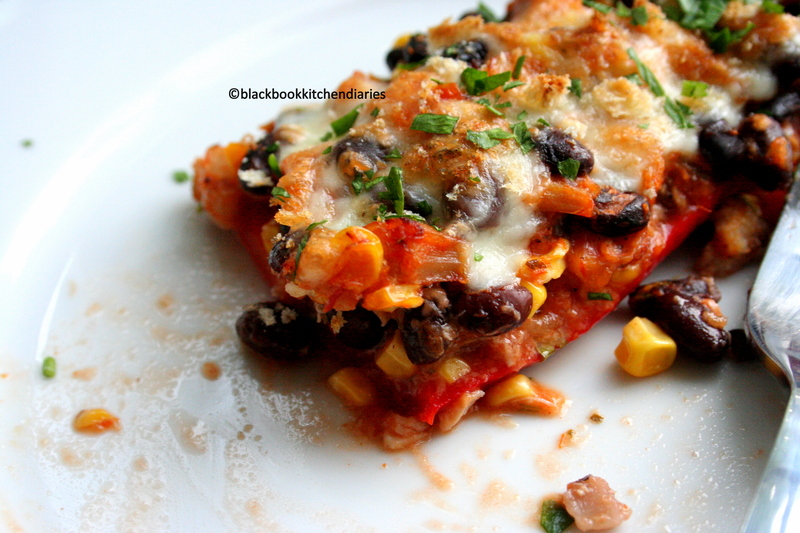 I really love making stuffed red bell peppers for dinners. 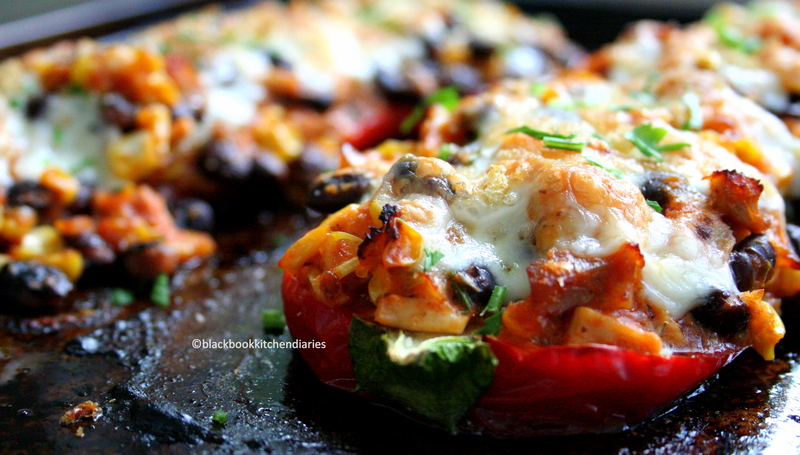 There is no substitution to the lovely red bell pepper. It gives out a wonderful sweetness like no other rather than using green peppers. 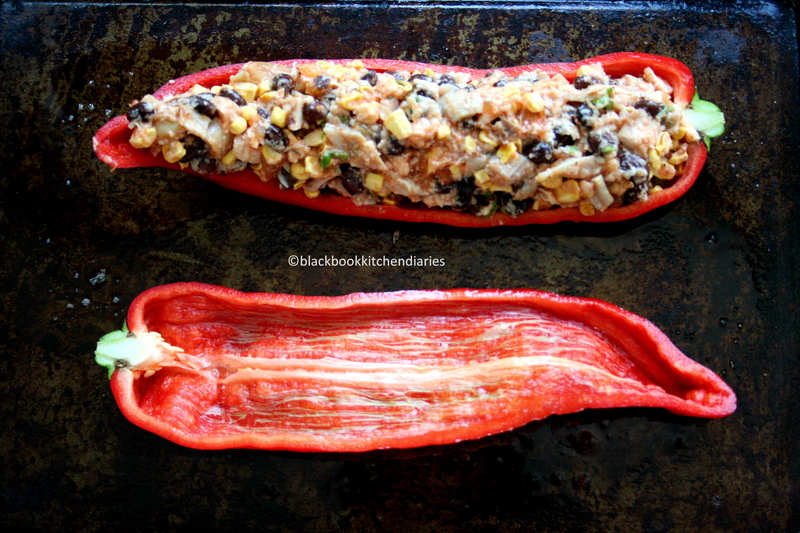 I do love my green peppers but I find that using the red ones in this recipe really brings out the richness of this dish. The true beauty about this dish is that it is really versatile. You can make this using your leftover Christmas turkey or even a rotisserie chicken. There are no limits on how you can stuff them. 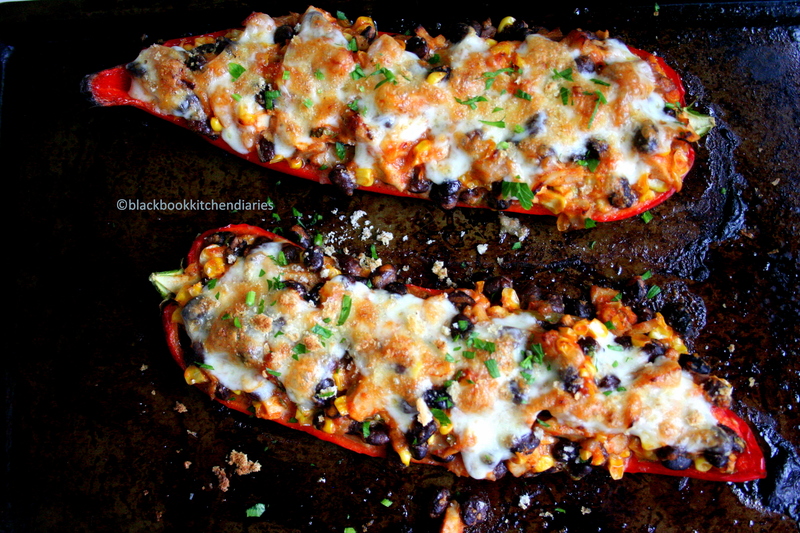 I’d like to think of the bell pepper as a blank canvas, the stuffing as the paint and then you the artist. This dish makes a perfect side dish or as a main accompanied by your favorite salad. If you’re serving this to your vegetarian friends or family, simply omit the turkey and replace with grilled mushrooms or cheese or even couscous. What’s your favorite kind of stuffing? Yes yes! I know I am such a slacker. I haven’t updated my blog for what seems like forever. But here I am again trying to pick up where we left off. I have been meaning to do a post but sometime now but things got a little crazy for me. (In a good way, that is) I was lucky enough to have my family visit me from Malaysia for the last six weeks. Their visit has kept me very busy and extremely happy. Let’s just say that it was a very memorable holiday that we shared together. I spend every day going out to the city and barely have any time to get things done, let alone attempt to do a blog post. I am now going through the after effects of their vacation. I miss them so much. I hope that they will be back soon for another visit. But right now, I have a lot of catching up to do. I can’t believe how the weeks and months just flew by, just like that. And then, what do you know, months have passed since my last post. Honestly, this is not what I had planned. 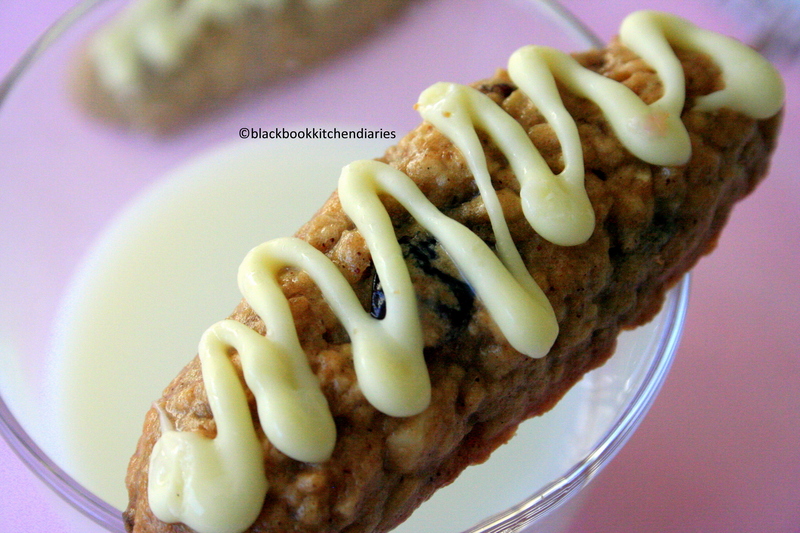 I planned on baking these amazing oatmeal cookies. I plan on eating this every morning for breakfast with my coffee. I also plan on dunking this with a cold glass of skim milk. I imagine they would be irresistible, a little crunchy on the edges and slightly chewy in the middle and loaded with just the right amount of raisins. These babies are my latest obsession. Inspired by the Trader Joe’s cookie dunkers selection. I can’t seem to keep my hands of these. Instead of using cranberries, I went with the traditional raisin version. It is after all, my all-time favorite. 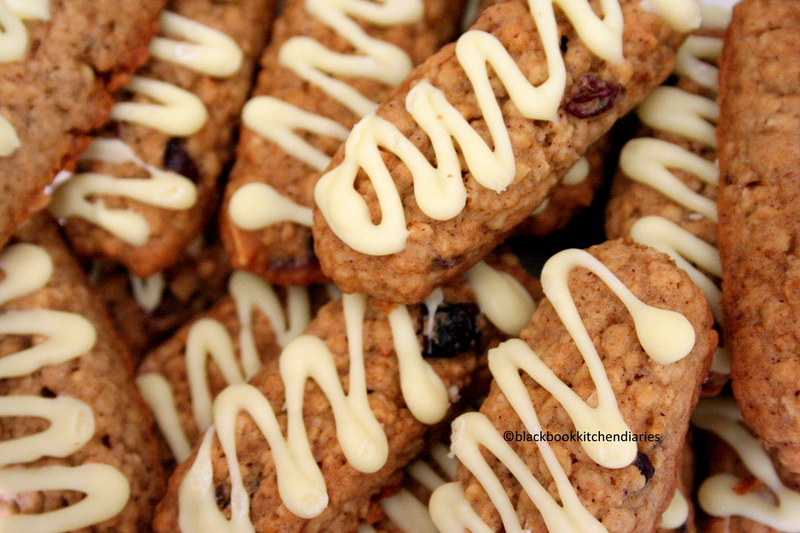 If you like, you can drizzle them with melted white chocolate after they are baked and cooled. It’s delicious either way. Preheat oven to 350 degrees F. Grease cookie sheets or use silicon baking sheet. In a mixing bowl, cream together the butter, brown sugar and white sugar until light and fluffy. Then mix in the egg, heavy cream and vanilla extract. Mix together the dry ingredient in a large bowl. Combine the flour, salt, baking soda, cinnamon, rolled oats and toasted wheat germ. Stir that into the creamed mixture. 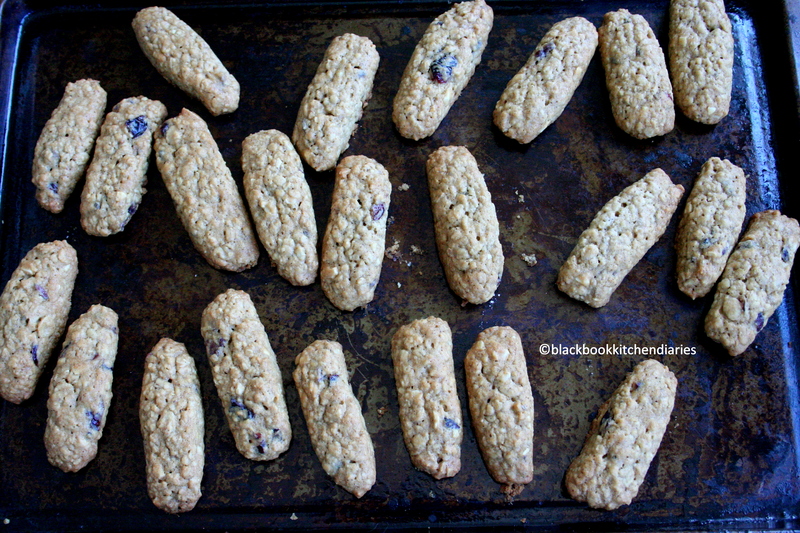 Scoop out a spoonful of mixture and roll it out into small logs and place onto the prepared cookie sheet. 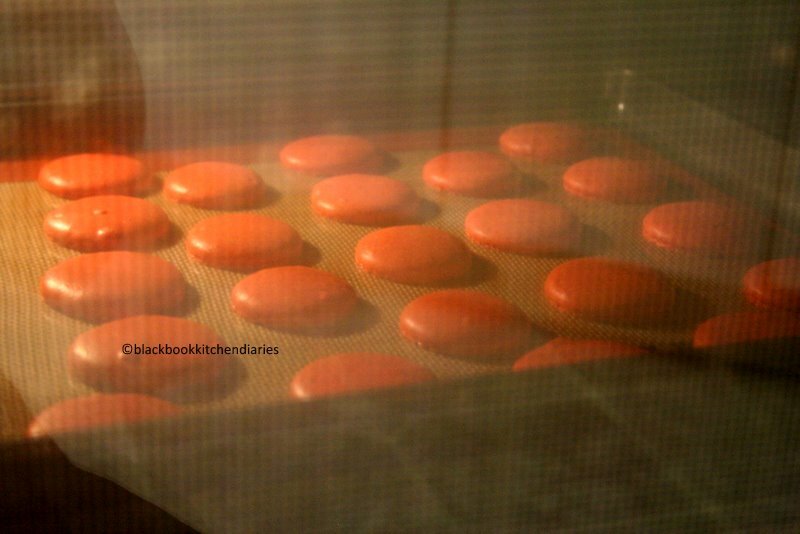 Bake them for 10 to 12 minutes in the preheated oven. Note: If the tops of these cookies look a little under bake do not sweat it will continue to bake on the cookie sheet while cooling.